The 5-11th February is Children’s Mental Health Week. Children’s Mental Health Week is organised by the leading national children’s health charity Place2Be. The first ever Children’s Mental Health Week was launched in 2015 to support children and young people’s mental health and emotional wellbeing. Place2Be provide in-school support to improve the emotional wellbeing of pupils, families and school staff, and expert training for professionals working with children. They have school-based teams across England, Scotland and Wales. One in ten children aged between five and 16 years has a mental health problem. If left unaddressed, these problems frequently persist into adulthood. 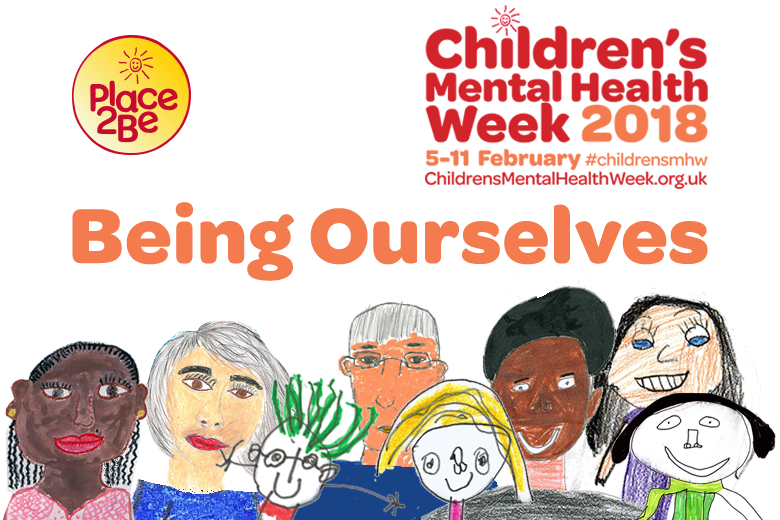 Children’s Mental Health Week this year zooms in on the importance of “Being Ourselves”. It’s all about #BeingOurselves for Children’s Mental Health Week. Recognising the different qualities of others can also help us to connect with those around us – which is vital for our own and others’ wellbeing. Free resources for primary and secondary schools on ‘Being Ourselves’ are now available to download. You can share how you’re getting involved by adding your event to the interactive Children’s Mental Health Week map.